This past week we noted on the calendar the summer solstice the longest day of the year, marking the beginning of the summer season. However, it is also a sad day as it marks the fact that our days are now getting progressively shorter and shorter. Think about the season of life that you are in right now. We are all pretty good at categorizing our season of life, but try to set aside those man-made categories and start to dream a bit. Start to think that no matter what age you are, God has something unique and special for you to do. Do you know the time in your own personal life? What is the season that you are in? Rather what is the season that God has set for your life right now. In the Gospels, we frequently are reminded that Jesus was on a timeline, one that would ultimately lead him to the cross. Jesus was occasionally encouraged by those close to him to adjust the timeline, to speed things up. They did not know the complete picture, but they thought they could help Jesus become the ruler, they wanted him to be. In chapter 7 of John’s Gospel, we read an interesting exchange between Jesus and his brothers, one of the only recorded dialogues between Jesus and his half-brothers. It seems that Jesus’ brothers want to become his promoters. They witnessed the miracles he did, and they thought that now is the time to take Jesus to the big time, taking his fame to the streets of Jerusalem. Jesus was staying in the region of Galilee and had been teaching and performing miracles for about six months. Galilee was safer for Jesus, than the region of Judea in the south. The religious leaders in Judea wanted to kill Jesus, but Jesus was on a divine timeline and he knew that his time had not yet come. Throughout the Gospel of John, we see references to this divine timetable that Jesus was on. (see John 2:4; John 7:30, John 8:20 and John 12:23). In John 7:6 Jesus said, “my time is not yet here” the Greek word for time used here is Kairos. Kairos, is more than a tick on a clock or a day on the calendar, it is a deeper word that means the right time, the most effectual time, or the opportune time. Jesus was being pushed by his brothers to seize the moment, they thought this was the opportune time for Jesus to be introduced to the world. But Jesus was not interested in worldly fame, he was on a much more important mission. A mission that the creator of the universe was orchestrating, Jesus was on a divine timeline. We as followers of Jesus Christ, who have the Holy Spirit in us, are not living for ourselves, rather we are on a divine timeline as well. Daily asking God for His plan and direction for our lives. When we are young we may feel that we have all the time in the world particularly in the summer. However, before we know it, 30 years has flown by and many hours have been wasted. When we are in the season of parenting Children at home, we have no time there are so many demands on our time. The demands are so great that we don’t realize the season that we are in that is so fleeting. The tremendous blessing of holding and nurturing a child. Being entrusted by God to train up a child in the ways of the Lord, those days pass by quickly. When you are old and your children are out of the home, the temptation is to feel that you have done your share, you deserve to take it easy and enjoy your final years. What did Jesus say about the man who said exactly that in the parable of the rich fool in Luke 12:19-20? We have this crazy modern notion that we need to work as hard as we can, amass as much wealth as we can, then we can retire early and then we go to Florida and play golf until we die. What a miserable existence! What if you grasped that God has so much more for you. There is so much more joy in living out our days, whatever season of life we are in, totally committed to the will and plan of God for our lives. When we are young, we miss the sense of urgency to ask the Lord for His plan, and when we are old, we seem to think that God cannot use us because we are past our prime. I want to tell you that you are in the perfect season for God to use you. He has prepared you, through your past experiences and trials, He has prepared you for today, for the Kairos moment that he has for you today. The opportune time that God has you in right at this moment. God does not give us breath to breathe and not give us Kairos moments to fill our days. Moses was 80 years old and as he led the sheep toward the mountain of God, God called him and changed the course of history through the life of Moses. Abraham and Sarah were promised a child when Abraham was 100 years old, Sarah was ninety when she gave birth to Isaac. In the book of 1 Chronicles we see a group of men who did understand the times, who did understand the season and they were ready for action. We read in 1 Chronicles 12:32 about the sons of Issachar, men who observed, reasoned and stepped out in faith. Today we need men and women who understand what is happening in society from God’s perspective, to step out in faith leading the church into action. People who will be on their knees before God asking Him for direction and wisdom to discern the times (see Romans 13:11-14). What plan does God have for you? Are you willing to pray and make yourself available to God? We have incredible opportunities presented to us now in history, but we have plenty of excuses. We are too old, we are too young, we don’t have the money, our health is not optimal, we don’t have the right education…… any number of excuses for not recognizing the season that God has placed us here in Kansas City now in history. I challenge you to pray and ask God for the direction and plan that is perfect for your life, the reason he created you and placed you here right now. One of the most frequent questions we hear is, what’s is the time? 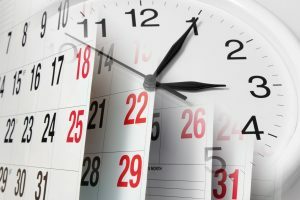 Frequently we want to know the time to prepare for an event or to prepare for an appointment. On God’s schedule, the world is one a timer as well, every day takes us closer to the end of the World. It begs the question, what time is it? In this the information age, it is so hard to know what is truth and what is deception. There is only one sure foundation and that is the Word of God. We must know and study the Bible, not simply read it on Sunday morning, or listen to sermons on the radio, we need to be digging into the word of God for ourselves. Without a solid knowledge of the truths of the Word of God, you will be deceived. Truth is under attack all around us, and if you don’t know the truth, you will be deceived, and that will affect your eternal destiny. Jesus continues in verses 6 to 8 and says that his followers will hear of wars, nations rising against nation, famines and earthquakes. Sound a lot like our day and age. But Jesus said, don’t be alarmed. This is not the end, it is merely the birth-pains or a time of suffering before the end. This is very personal and real, we are seeing this kind of persecution happening to Christians all over the world. We in America, have no idea of some of the persecution taking place against followers of Jesus Christ. We get upset if someone hints that the churches tax exempt status might be removed! We had better wake up and take stock of where we stand, we have been lulled into a comfortable Christianity that is socially acceptable, but Jesus clearly warns that this is not part of his plan for the church, the true followers of Christ. The book of Revelation is a book comprised entirely of what is known as Apocalyptic material. That word Apocalypse comes from the similar sounding Greek word which means unveiling or revealing, hence the name Revelation. I know some of you when you read the book of revelation, you come to believe that it is anything but a revelation. But I encourage you to not shy away from this book because of the many varied theories and speculations. Revelation 1:3 says, “Blessed is the one who reads aloud the words of this prophecy, and blessed are those who hear it and take to heart what is written in it, because the time is near.” Don’t you want to take God up on his offer to bless you? Here is the great truth about the Bible, we have a promise from God that by his Holy Spirit, we will be given insight and understanding. Before you sit down to read, ask God to speak to you and reveal his truth to you. You may not be able to understand all the details, but as you read God will begin to reveal new truths to you. John’s Revelation and the book of Daniel predict a threefold process of the end of times. There are several prominent beliefs regarding the sequence of events that include a time of tribulation, Jesus reigning on the earth for a thousand year and the final judgment, where everyone will stand before Jesus to be judged. Theologians have wrestled with these scriptures for hundreds of years. And unfortunately, because of the strong opinions of some, we have seen churches split and Christians falling out of fellowship with one another. I know this is not part of God’s plan for the church. The bottom line is that just as the angels promised in Acts 1:11; Jesus is coming back. We do not know when, but one thing is certain, it nearer today than it was yesterday. Are we eagerly longing for that day? The more a Christian gets caught up enjoying the good things of this life, the more we neglect genuine Christian fellowship and our daily personal relationship with Jesus Christ, the less likely are we to desire his coming. On the other hand, our Christian brothers and sisters around the world who are experiencing real suffering and persecution, or an elderly person who is suffering on a bed of illness, or someone who’s walk with the Lord is genuine and deep – these people have a real tangible desire for the Lord to return. The depth of your desire for Jesus to return is a good measure of your Christian walk and your relationship with the Lord. Are you desperate for Jesus to return? We might not know the time or the day, but we can see the signs around us that Jesus is coming soon. However, by being lulled into this world of entertainment and comfort, it seems unreal to think of the reality of the return of Christ. So why do we need to know the time? Are you looking at the signs and getting ready? Preparing for Jesus to come back again. Let us never grow cold in our love for the Lord, rather let us provoke on another to live every day for him with the intense desire for his return. I challenge you to be one of those who stand firm on the Gospel, the only way of salvation.